There's a seismic shift among brands: Direct to Consumer selling (D2C or DTC). Brands are seeking more control of the shopping experience by connecting with consumers directly through ecommerce. The reason behind the shift is easy to understand: “The customer lifetime value in [a brand’s] own online channel is at least 80% higher than in their best-performing brick-and-mortar channel,” says Forrester in the report “Refit Your Applications For Direct-To-Consumer Sales.” On top of this, on their own digital sites, brands can drive shelf placement, content, pricing, and the overall experience, elements retailers have largely dictated over the past few decades. The main change is how brands will cater to the consumers who seek out their products. Shoppers purchasing directly from a brand’s online channel tend to be consumers who either already have done their research or are returning brand loyalists. It’s not difficult to imagine a shopper who knows she wants a certain razor, knows the product by name, has been using the same brand and item for years, and believes there’s benefit to purchasing direct from the source. Is your brand ready for this savviest of savvy shoppers and provide the ecommerce experience they expect? Providing this type of shopper with a path to checkout on your website is only the starting point. 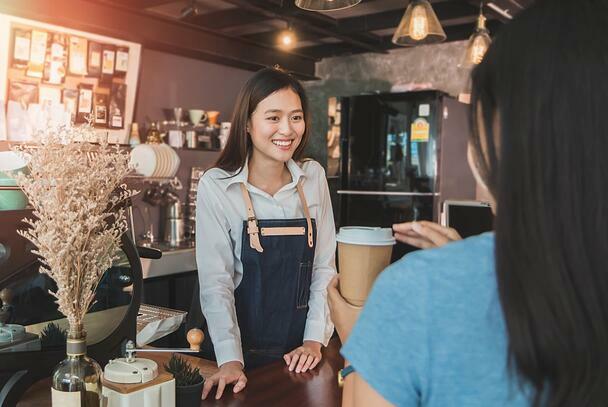 “Brands see new opportunities to convert website visits to online sales by injecting purchasing opportunities more fluidly into the early stages of the customer life cycle, when customers are discovering and exploring offerings,” says Forrester. Therefore, incentives to shop at the source should abound. Free shipping, member perks, and subscription benefits that rival the big retailers and third-party sites are some examples. Showing your brand intimately knows their direct consumer must be at the heart of every DTC interaction. Forrester cites Salsify’s product experience management of Drive Medical (Medical Depot) and the ability to upload over 900 items from a catalog daily, complete with data-informed content, as the way to go. “Use data feed to syndicate content… and aggregate, enrich, and publish product content in the right format for online markets and channels,” says Forrester. Why? “Content drives traffic, click-through, and repeat visits to an eCommerce website. Data feed technologies quantify the traffic and click-through impact of images and text,” says Forrester. But also, there’s a human behind those clicks. Simply shepherding the knowing, potentially legacy shoppers to the same content experience as a new visitor and speaking to loyalists like any consumer off the net will be seen as unfamiliar, unappreciative of their business, and off-putting. Every word and image must be informed by data, analyzed, and updated frequently to include the ever-changing nuances of how these savvy, emotional consumers research, discover, and buy. What's next in your move to direct-to-consumer? Visit our content grader. It’s an easy, free tool to see how your product content stands up to your competitions’. Collect the right data. Learn when, how, for what, and why your direct consumers are searching. Edit your content often to reflect those findings. Know your inventory. Getting a handle on how your supply levels and fulfillment methods impact your ability to make direct sales will be critical to success.